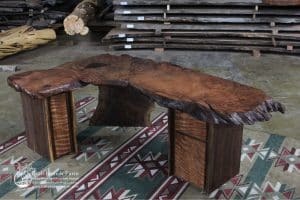 Wood slab desk is 67″ long 36″ wide 31″ high. 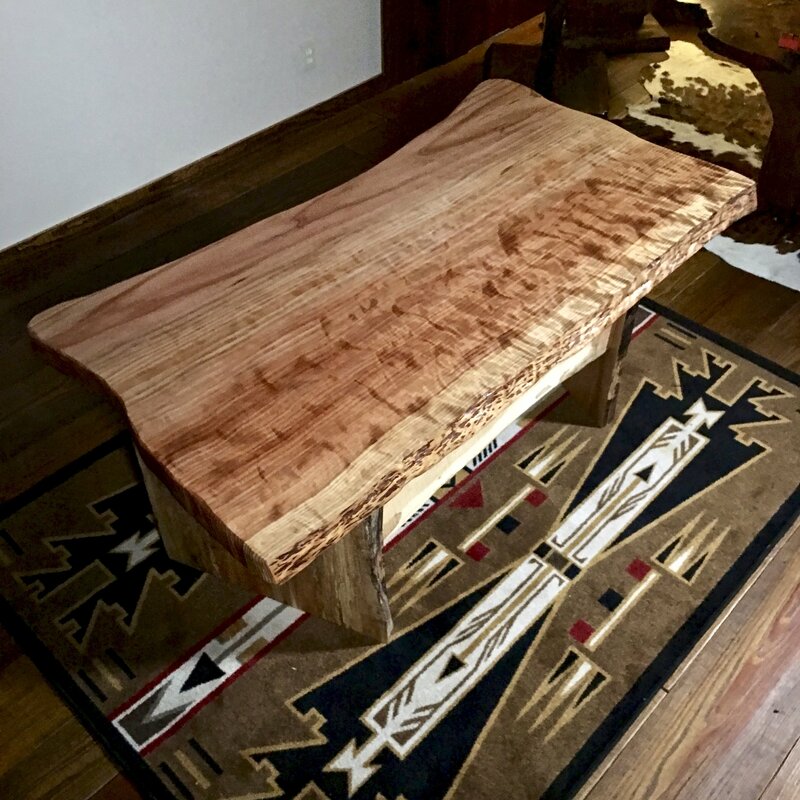 Wood slab desk made from ethically sourced live edge wood slabs. 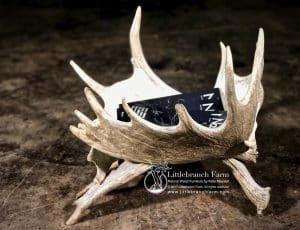 This traditional design also features a live edge wood base. Available in redwood, claro walnut, and other natural wood slabs and is customizable to meet your rustic office desk. 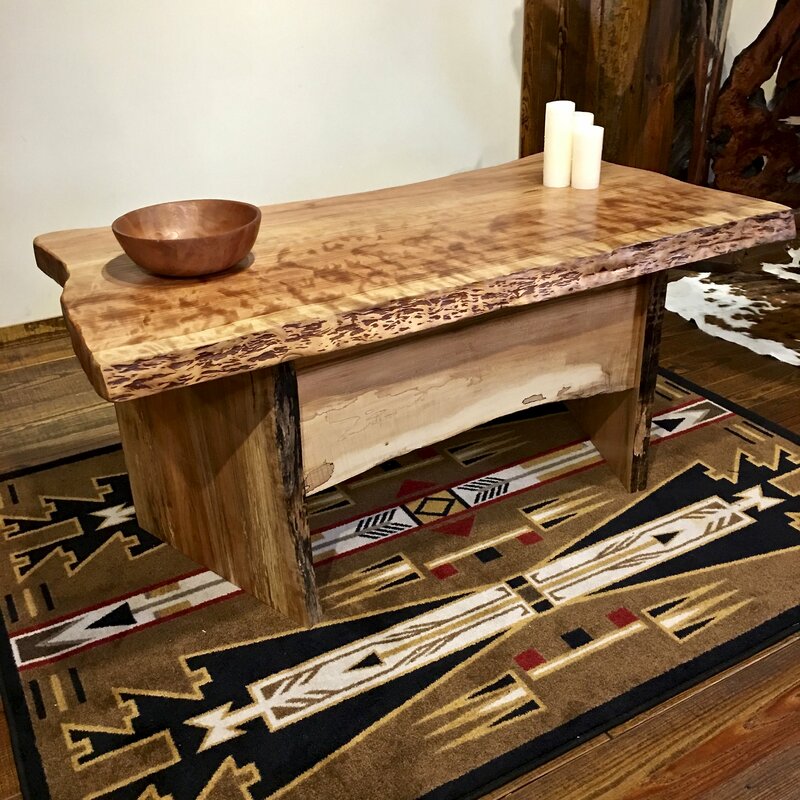 The pictured wood desk is second growth curly redwood with a spalted maple live edge wood base. 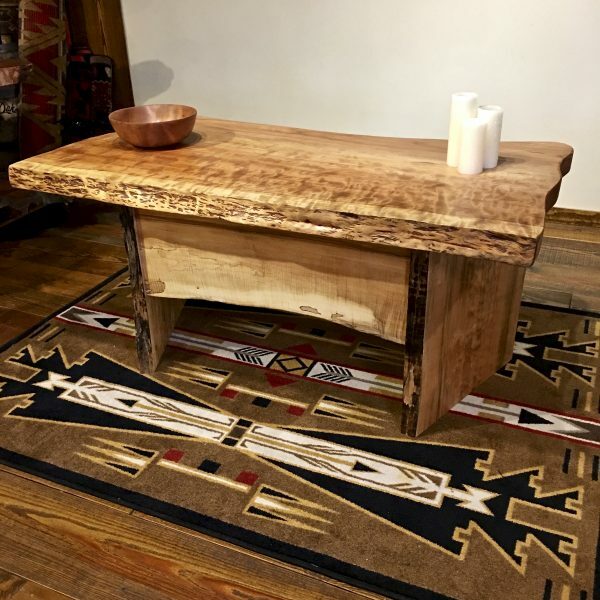 This rustic wood desk built by our custom furniture maker in our Nashville, TN studio. We use wood slabs that are native to the USA and are ethically sourced. 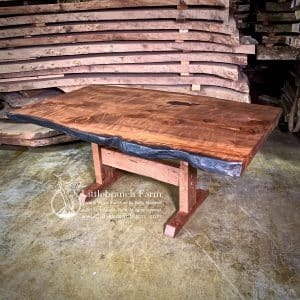 We also look forward to working with you on your natural wood furniture needs. 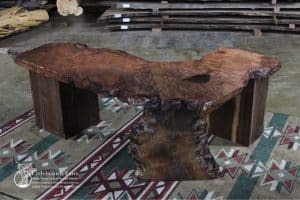 Whether it is a simple office desk a rustic vanity or rustic style live edge table we can help.